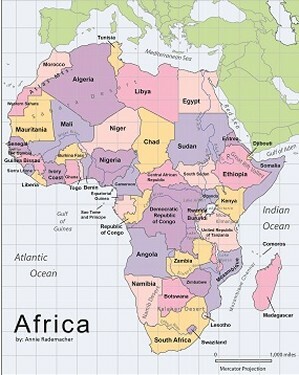 Burundi is a small country to the southwest of Lake Victoria. It is bordered by Rwanda on the north, Democratic Republic of Congo and Lake Tanganyika on the west, and Tanzania on the south and east. It has recently emerged from a lengthy civil war. The total devastation by fire of Bujumbura's (the capital's) central market in early 2013 has significantly affected the national economy. Despite these setbacks, Burundi remains a beautiful country in which there is real spiritual hunger. To learn more about Burundi, please click HERE. 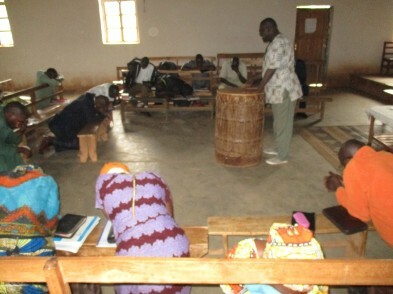 ECLEA personnel first went to Burundi in January 2009. Early-on, Jonathan Menn began working with Rema Ministries. 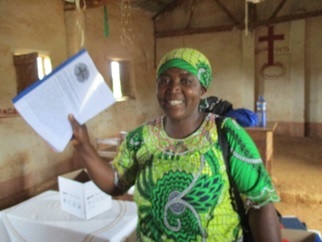 Rema is an indigenous ministry in Burundi that, like ECLEA, focuses on training church leaders. 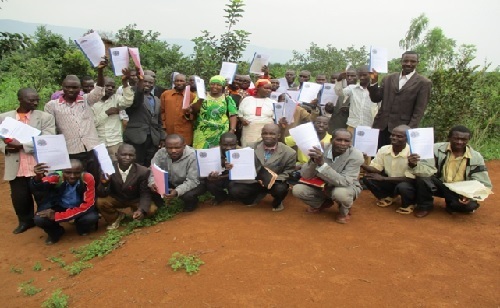 Consequently, Rema and ECLEA have entered into a memorandum of understanding whereby Rema will use its personnel and contacts to teach ECLEA's courses in Burundi and to identify good candidates among those who participate at ECLEA training sessions to become part of the ECLEA teaching team. 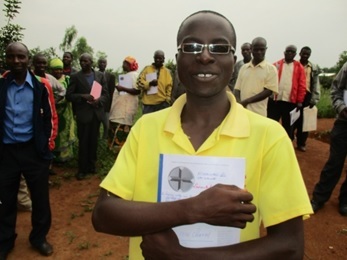 Our plan is that Jonathan will train the Rema staff members and ECLEA-Burundi treachers in ECLEA's courses as well as participate in other church leader training sessions. In this way, ECLEA will have maximum impact since we already have an experienced group of teachers. From 28/08 to 1st/09/2017, Rema Ministries conducted training on Forgiveness & Reconciliation in Cankuzo. Took part in this mission Francois Nitunga, Frederic Harerimana, and Peter Baziyaka as the driver. 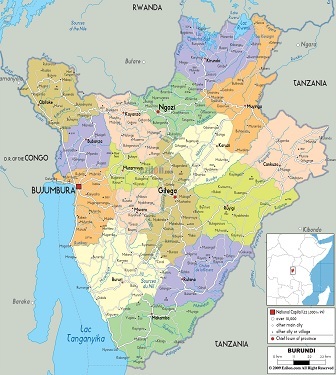 For your information, Cankuzo is 240 km away from Bujumbura. Fortunately the road is tarmac. “In the united Methodist church we have been undergoing hard times since there was one group which ceased from our main church to the point that now we have two groups. The church was divided. This left us vulnerable to the point that there were some unhealed wounds even among ourselves. Some belonging to Apollos and others to Paul! So this training is so important to us," said one pastor. From the beginning, this topic raised a number of questions: could there be a link between being ill and unforgiveness? If not, why did Jesus heal the paralytic by telling him, your sins are forgiven and he immediately got healed? As we moved forward into the subject, participants wondered how they have been praying the Lord’s prayer, reciting it only, but never stopped even one minute to think about the consequence of what they prayed. They were deeply touched by the verse which says: “Forgive us our debts, as we also have forgiven our debtors”. In other words, it is as if Jesus said: the level at which we forgive our debtors is the same level you should forgive us, or the measure we use to forgive our debtors should be the same you use to forgive us, and if we have not forgiven our debtors the same way you should not forgive us!! What a powerful revelation! One of the participants said: “I wonder really if the Lord understands what we pray or if it is just a show off. If really that is the case, nobody will get to heaven, for we realize that we really do not forgive”. Another participant wondered: “Did really Jesus ask us something that is impossible to accomplish? If it is not an impossible thing he asked of us, why practically don’t we see forgiveness at work in our daily lives and churches? The answer lies in the fact that the good news we have been preaching was shallow”. 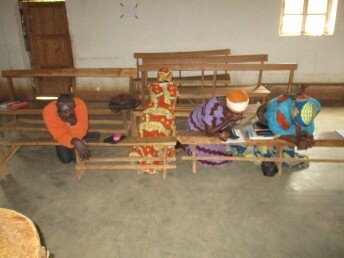 The training went on well and at the end so many participants asked us to pray for them. Indeed, they knelt down and the presence of the Spirit was so powerful and repentance was so real. After prayers people went around to ask forgiveness and to forgive those who had wronged them. Some went even far saying: “It is a shame to continue serving together one Lord as pastors telling other people to repent and to forgive their enemies, yet we have hatred and enmities among ourselves. Let us put to an end our unforgiving behavior and practice. If not we will not be allowed to enter the gate of heaven. The time has come whereby we should preach and teach what we live and practice rather than heaping burdens on people’s shoulders. Forgiveness and Reconciliation must be from now on the heart of our preaching and teachings”. Revd. 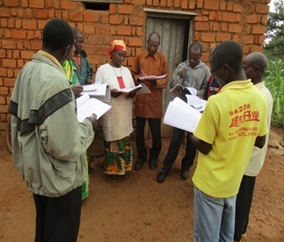 Bugusu Matthieu, the Superintendant of United Methodist Church of Burundi Cankuzo District, is asking God to pour upon them the power of the Holy Spirit so that they may go and forgive others. Revd. 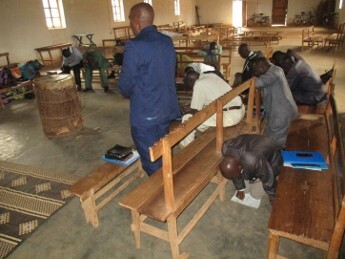 Musumari Edourd the Superintendant of United Methodist Church of Burundi Ruyigi District, is praying for the cleansing. “Lord help us to forgive others as you forgave us. And give us grace to reconcile to one another”. People are quietly praying, others crying as they ask God to forgive their unforgiving hearts, and failing to be living examples of reconciliation. “Oh God forgive us we pray”. We praise God for having been with us and enabled us to accomplish this timely mission. From Monday 08th to Friday 12th January 2018, a church leaders training was held at Muzye. 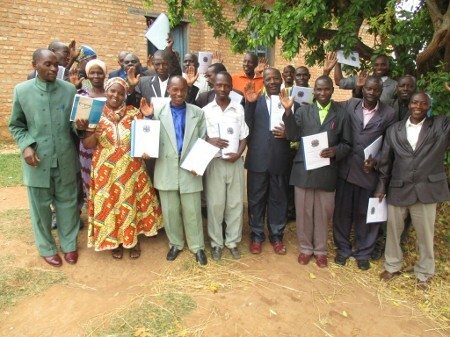 This is part of the ongoing training for pastors at Muzye. The team which was made by: Frederic Harerimana, Francois Nitunga as trainers and Baziyaka Jean Pierre the driver, left Bujumbura on Sunday the 07th, so that they may be ready to begin the training early Monday the 08th. As there were no proper lodging facilities in the vicinity, we had to commute 27 km every day. In fact, due to poor accommodation, the last time we were there one of our trainers picked up malaria which took a whole month to heal hence we decided to go to a place with good accommodation facility. We had 39 trainees who attended this training. 12 were from the first intake and 28 for the second class. The course this time was “Biblical Counselling”. Rev. 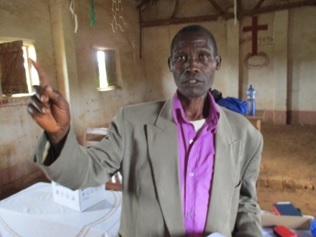 Nsabimana Eliezer testified that he gathered 30 people in his church and trained them about the mission of the church focussing on reaching out and making disciples. After his training people went out to do the soul winning. As a result, more than 10 new believers joined the church and are now attending baptism courses. He said that he found important to begin to do the discipleship starting from his house. He says: “I have a big family and my children are adults and bright as well. I encouraged them to go and reach out in our village, and their friends. They are now at work. From there I am going to organize elders and other leaders in the church so that I may train them on how to evangelize and make disciples. Then from Monday afternoon to Friday was the training on Biblical Counselling. The topic was so interesting in such a way that trainees were everyday on time as they wowed not to miss any part of it. They said that counselling is a very big part of their daily work as pastors. However, they realized that what they used to do as counselling has nothing to do with the techniques and practice of proper counselling. They themselves discovered that most of the ill behaviours and deviant behaviours of most people in the society are the results of either trauma, depression, stress, grief or such kinds of things and realized that Jesus came for such people and hence vowed to go ahead, look for such people and try the techniques and see what the Lord could do about it. They were convinced that they cannot fail before they try. “Truly this course on Biblical Counselling was so special to me. I understood what Biblical counselling is all about and the best way to do it. Before I had a problem of listening. So many times I was accusing my clients asking them some questions such as why have you done that? I was missing many counselling skills such as: communication rather I practiced poor listening, poor relationships and poor empathy. This course has enlightened me on how to be a good counsellor, from now I will change the way I was doing it. My aim is to try to be a good counsellor using the Bible and try to restore people to what they ought to be in Christ”. “I benefited many things from this course concerning Biblical Counselling; my eyes are now opened more than before. When a client comes to me, I was just giving him some pieces of advice and many times I was recommending them what they should do in order to get well. I was not using the Bible, only using my knowledge. More often I was telling them words like this: Your things are like that, you are not alone to go through such situations, I also went through such situation, and the remedy will take some time learn to cope with your problem. Therefore, you should pray to God, the controller of every situation. “First of all, I praise the Lord for this teaching about biblical Counselling. Thank you also our teachers who came to teach, and open our eyes to this course. I was advantaged to be part of this training. God wanted me to be here. Now I have understood very well how to do biblical counselling, different from what I have been doing. When my fellow women come to me with problems, mostly originating from their respective families, I was advising them how to obey their husband, how they should be welcoming them when they are back home, just to give them A,B,C, D, E of things they should be doing. There are times I joined some of them to accuse their husbands. Some other times I accused my clients. And at the end I prayed for them. What I realized is that the last prayer together was very important because after that prayer people gave the impression of being encouraged more than the words I had shared with them. From now I will do it properly. In my marriage I will also try to apply “the five languages of love”. The trainees responded constructively to the teachings. They said that they understood what biblical counselling is all about, and said that they are to change their world view of what counselling is. We gave them words of encouragement and motivated them to do Biblical Counselling as they apply what we have been going through the whole week. Answering questions was good because participants got chances to participate in contributing to the questions given by the trainers and those asked by the trainees; which encouraged them as students to know that they have something to contribute. The trainees learned from each other during discussion groups. Nobody knows everything. In life, they said, all are learners. We thank God who protected us during the training. It was also a rainy season but students came. Food is still a big challenge. Let us pray God so that the harvest will be good this year so that our students will have enough to bring with them when they come to the training. In all we give thanks to our Almighty God for what he has helped us to achieve in that week. Last week we were in Rutana teaching the course Expository Preaching! Some participants preached using the format we gave. Unfortunately, most of them did not get the clue. However, they wondered how they had been preaching and said: "Surely, had we been preaching in Bujumbura, we would have been thrown out a long time ago. Our problem is the way we have been raised to preach. Change of attitude and behaviour do not come on overnight. It takes courage, exercise, accepting the critique, etc. Dear teachers, surely nurturing in this is very necessary. Remember, some of us as participants, we have never been to any seminary school, even reading Kirundi is challenge for some of us, you realized how we read hesitatingly. When you talk of grammar to some of us it is Greek. So please do understand us. It would be sad to graduate when we have not mastered anything in all we will have invested our time and resources." We were encouraged by one pastor who said: "Whatever the remaining time we have, I beg you please to let me preach so that I may get critiqued and I am sure I will not repeat the same mistakes." Hesitatingly, they all insisted that we give a chance that every participant to that course get a real opportunity to prepare to preach. Following therefore your suggestion, you said: "I think it is important to repeat courses. These courses are so rich that no one can get everything only going through them once. People will learn more and get this material ‘into’ them if they go through the courses more than once. My experience is that this is absolutely true with respect to Expository Preaching (where the vast majority of preachers only ‘get’ a portion of what we are talking about on the first go-around; it's the second or third time they do it when it finally ‘clicks’)--but that same thing is also true with respect to the other courses. So, I would say, don't be so quick to go through all of our courses quickly, but make sure that the people are thoroughly grounded in them." Therefore, would it be too demanding to repeat it otherwise, they are still hungry and we have not yet quenched their thirst with regard to that course. Of course we are mindful of the cost, however, there is no need rushing if we do not achieve anything. This is her testimony: “From the time my husband started attending this course so many things changed for the better. Indeed, my family is well now: my husband took some initiatives which were not in his mind before he attended the course: now we pray together at home and takes time to read for us the word of God. He started some projects like rearing animals like goats, sheep, cows, things that were not in his mind before the training. He has planted trees and bananas which we now are proud of. Whenever it is time for him to go to that training, I encourage him to attend and if he says he is not ready to go I do push him to go for I have seen tangible result of the training”. 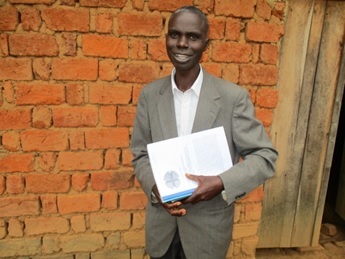 Another pastor called Musumari who is from Ruyigi but regularly attends the trainings, said: “From the time you started training us, I planted bananas. This is the first fruit that those bananas have yielded so I give it to Rema as firstfruits to show Rema Ministries [ECLEA's partner in Burundi] that we enjoyed their teachings and that we have put into practice what we learned there." Islam is a big challenge in Burundi as in every corner. Mosques are being built and some Christians are defecting to that religion under the alibi that Muslims express more love than Christians. In fact, Muslims use alms to entice the Christians.